Although vacationing usually doesn’t start until you’re traveling toward your destination, the fun can begin with finding and deciding where you’re going to stay during the trip. Assuming your horizons of travel are broad, you can enjoy anything from themed art hotel rooms to hotel layouts inspired by jails and castles. Here are some of the most interesting hotels and hotel rooms. The Propeller Island Hotel is located in Berlin and is one of the most famous artistically designed hotels in the world. The designs are all unique and include a range of rooms from adult-only intended rooms to children friendly. 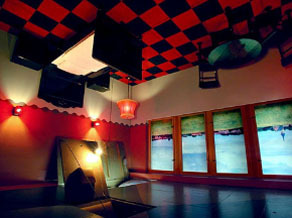 Some rooms seem to have drawn their inspiration from fantasies such as vampires sleeping in coffins or an upside down world like Alice in Wonderland. The Adult-Only Inspired Rooms may snag the attention of couples in need to get away and spend alone time together. 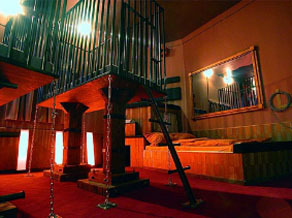 Two of the most interesting rooms out of the exceptionally unique adult-only inspired designs are the mirror room and the stylishly equipped cage room. 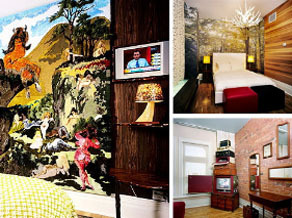 The Arte Luise Kunsthotel (Art Hotel), which is also located in Berlin, offers one-of-a-kind designed rooms similar to the Propeller Island Hotel. The difference at this hotel is in their approach – relying on singular artists’ visions in each room. The Gladstone Hotel in Toronto also employs this philosophy in their designs. The designs range from abstract to traditional. As distinctive as these hotel room designs are, sleeping within an artistic piece may not be for everyone. 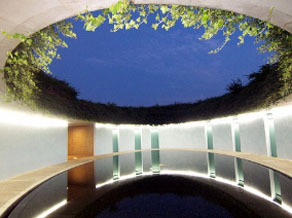 The Benesse Art Site Naoshima Hotel in Japan presents an alternative by offering traditional hotel accommodations attached to a beautiful, modern art gallery. the doors of the prison have reopened but no longer as a prison. 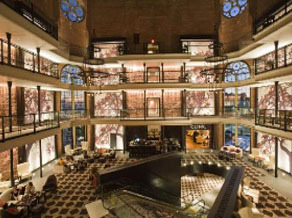 The jail has been restructured into a lavish four star hotel, known as the Liberty Hotel, that leaves former inmates in awe. 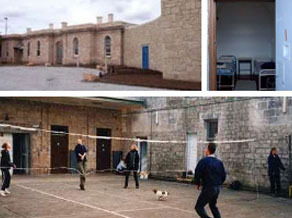 The Mount Gambier Jail in Austria experience is quite different from Charles Street Jail. This jail is advertised towards travelers that are backpacking or are more money conscious than others. Not many renovations have been done to the jail since it was originally in use. So if you’re one of the few people who crave to experience a night in jail this is the place for you. While hotel attributes like these are rare, there are a variety of hotels around the world that have their own specific characteristics that make them special. There are many Louisville villas that offer specific accommodations that make your stay unique. If you’re in need of a vacation and you desire to experience something new you’re looking in the right place. Caroline McCauley the author of the “Amazing themed hotels to spice up your vacation” is a writer for HRS Villas, which specializes in hospitality and family fun.